Inside SQL Server 2008: Figure 2: Customize the Object Explorer Details Tab. 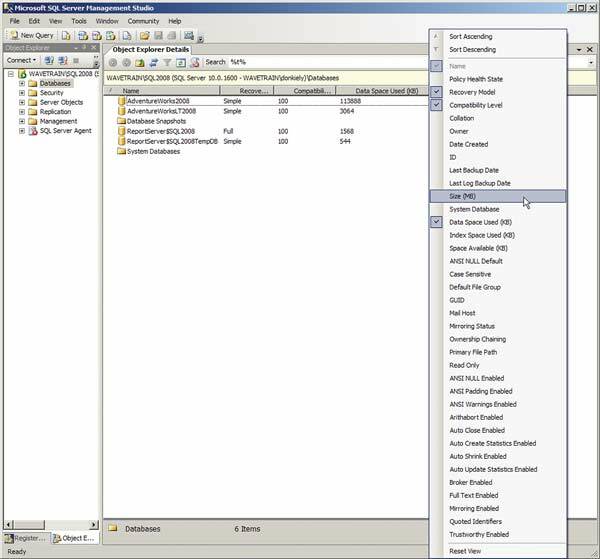 The Object Explorer Details tab in SQL Server 2008 Management Studio provides useful information about the node selected in the Object Explore. If you don't like the columns displayed, you can select from more than two-dozen others.